Article by Alan Taylor ©. Posted in Resources (Travel Writing, Write for Stage & Screen). Alan Taylor has taught screenwriting in the UK., the EU, and South Africa since graduating from the London (International) Film School. This article summarizes one outstanding hurdle that blocks writers from fully developing and enriching their own story material. Bandit Chief Calvera: No! You don’t see! What if you had to carry my load, huh? The need to provide food like a good father to fill the mouths of his hungry men. Guns, ammunition – you know how much money that costs? Huh? Uh? Not many reflections on screenwriting begin with a passing reference to Milton’s Paradise Lost but there are a few useful lessons for all creative writers and particularly screenwriters in that epic poem from 1647 (bear with me, Christopher Nolan’s The Joker is coming). There are two things about Milton’s work that resonate with standard screenwriting practice – as Satan speeds his way through space towards Eden we are struck by the dramatic cross-cutting between his speedy and ruthless determinations and the placid if boring life being led of his future victims. The closer he gets, the more rapid the shifts in perspective, a Marvel-ous narrative roller-coaster that builds fearful anticipation of what we know will happen. More importantly for this article is the why – what motivates Satan’s willful destruction of that first paradise. It is an irony worth noting that during this time Satan is charged by profoundly human motivations – a burning desire to revenge God, his former master. Despite our assumed moral orientation, we as readers are encouraged to identify with his tortured backstory and almost collude then with his devious designs – the ones that actually repel us.. The adopted perspective of an angel works because Adam and Eve by contrast lack the human dimension, portrayed as they are almost as two-dimensional stick figures, innocent of any of the inner contradictions that would later make them fully human. This richness of character occurs once they have gained The Knowledge and become rather like you and me. This kind of epiphany usually kicks off Act 2 complications – the world, Luke, isn’t what you thought it was. So where in all this is the Joker? One of of the toughest moves in the screenwriting process, the one that gives our work the required depth and earnestness it deserves, is sadly and usually the last one which student writers are willing – or able – to face and undertake. While much early attention is given over to surface elements – plot structures, fonts and margins and calculating the shifting audience patterns (this can be distractive behaviour of the worst kind), and while writers are eager to etch out the magical wonders of their central protagonist, there remains one messy card waiting to be thrown into all our creative designs. There comes a point where we must ask, as Milton has done, but why does the Joker do what he does? What is his backstory? And do I have the maturity of vision to go there and stay there and perceive the given storyworld from her /his unique point-of-view? Why – given all their obvious intelligence and potential for good – would they want to destroy my Gotham paradise? And once this Satanic perspective has been fathomed and fleshed out as far as I can take it, how can I encourage the necessary identification from my audience that will give wholeness to my entire story? As Bob Dylan might have it in Positively 4th Street: ‘I wish that for just one time you could stand inside my shoes, And just for that one moment I could be you.” In other words, we have to be our own anti-hero (this may not apply if your version of Satan is a truck on the rampage or a hungry shark). This step across the moral and ethical abyss is one I have found the hardest for most student, novice, and professional screenwriters to undertake – no matter their appreciation of Scorsese’s good fellas or Shakespeare’s Richard III. But it is one that our readers and audiences clearly require. It is part of the deal. Of course there is an irony at work here that places the writer in a contradictory situation. A number of given cultural factors mitigate against imaginatively going where Satan and the Joker reside. The general assumption that drives the writing industry assumes that writing is itself a noble cause and that those who partake of its ways and means are themselves, by definition, noble and ethical creatures of the highest order. Or at least trying. In its way art has become a secular religion and its practitioners are assumed to be carving out the way forward. Theirs is considered the hero’s journey. Supping with the devil isn’t part of the deal. Unless you are Keith Richards. But speaking of satisfaction, it is worth noting how much box-office lucre and political capital there is in the appeal of evil. Christopher Nolan’s Batman trilogy ultimately rested on the audience’s gleeful identification with Heath Ledger’s Joker. And even without underlined motivation, Shakespeare assumes there is a certain thrill in hanging out with the likes of Iago. Indeed, look about, many of us today find a certain thrill in identifying with any con-artist who can fathom the worst of our great desires and nudge them to do his unseemly duty. For the writer, though, it’s the difference between sympathy and empathy. Screenwriting courses do insist on giving the devil his/her due – taking time out to empathize with her/his perspective, making it as real for the audience as it is for her/him; but it always seems late in the day, an awkward draft four bolt-on (after time and some money has gone the wrong way), and when all other elements of the script seem to be in place. Alan Taylor has taught screenwriting in the UK, the EU, and South Africa where he recently served as Professor in Film. He is a trained teacher (Oxford) and filmmaker (London Film School), with a Doctorate in Film from the Johannes Gutenberg University of Mainz. For 2018 he spoke at Maynooth (Woman and New Hollywood) and undertook a masterclass in post-1970s Hollywood history at the Department of Film and Screen Media, University College, Cork. 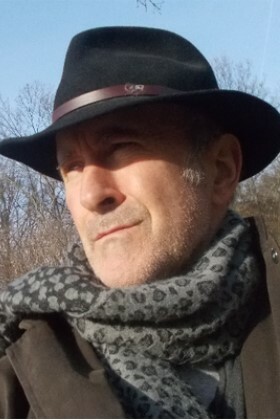 Alan is a member of Media Literacy Ireland, and founder of Currach Film & Media - a venture in both shallow and high seas - that aims to connect education, production, media literacy and film studies.